ICEL1001, when operated within the temperature ranges specified in our datasheets. 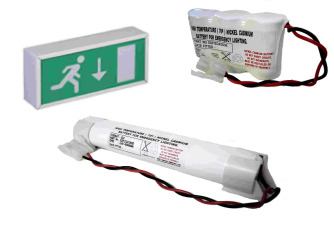 The batteries are available in a variety of configurations and are supplied with red and black wire assemblies with a selection of terminations to allow simple connection to Emergency lighting fitting. They are also available with end caps or mounted on backing plates. - Can be supplied with plastic end caps.